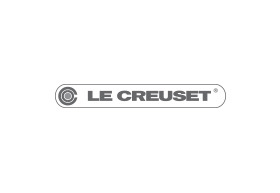 Le Creuset is recognised all over the world for market-leading, premium quality ranges of enamelled cast iron cookware, 3-ply stainless steel, toughened non-stick, bakeware, stoneware, textiles and professional kitchen tools, along with its outstanding range of wine accessories. Originating in France in 1925, Le Creuset is established as the global leader in premium quality cast iron cookware. With innovation and unparalleled quality at the forefront of everything Le Creuset does, its products are sold in more than 60 countries around the world, including the UK, US and Japan. Used by leading chefs and keen cooks around the globe, Le Creuset cookware offers outstanding performance time after time.